I want to use "[[YYMMDDHHMM]] Title" when linking between notes, since this makes it possible to edit titles in the future, without breaking any existing links. When using Cmd-C to copy a note title – or when right clicking to copy a note link – the result is YYMMDDHHMM Title or [[YYMMDDHHMM Title]]. 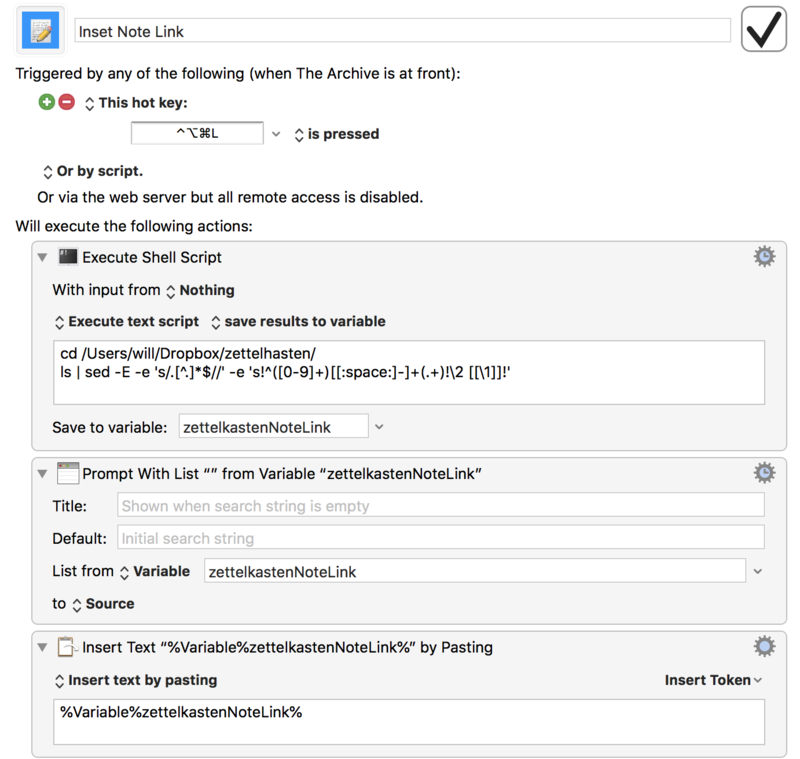 Could Textexpander och Keyboard Maestro be used to convert what's in the clipboard to my desired format? Or is this a feature that are on the roadmap for The Archive? Yes! Keyboard Maestro to the rescue. Not exactly what you asked for but it might work. Thanks to @kaidoh for the inspiration and Chris Stone who helped with the regex and @sfast for pointing out that the IDs should be separate from the zettel titles. 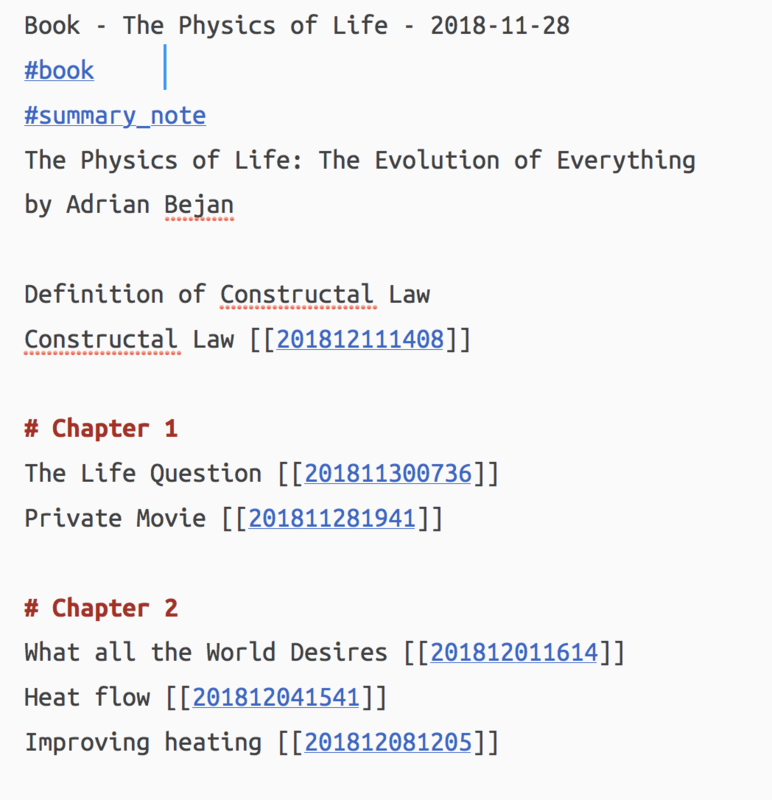 This will convert "201811281633 - Book - The Physics of Life" to "Book -The Physics of Life []" inserting it into a note, making the ID a link. Not sure why notes are not created like this in the first place. But I'm going with it for now. 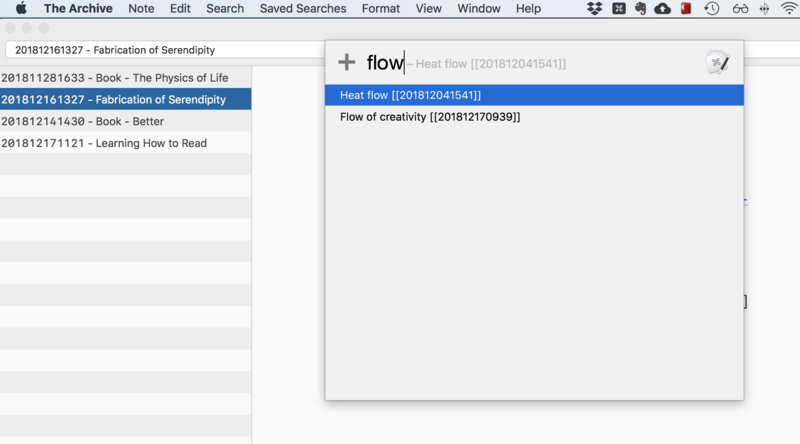 The Keyboard Maestro macro file.